An artsy shot of me taking a cold walk on Pacific Beach. There was lots of flotsam and jetsam. Pacific Beach, Washington: Don and I got out of town and into a traffic mess Friday after school to begin Spring Break at the Washington Coast. The weather is exactly what one would expect for this time of year---windy, cold, rainy, with a few sunbreaks. New camera being put to good work. Don played with his new camera and got some very good shots on our beach walk. We both had our hoods up to cut the wind. This is one of my first attempts on the new camera. Quinault Lake: The wettest place in the continental United States with over 150 inches per year as an average. It is in the middle of a rare temperate rain forest. With moss and dripping trees everywhere we understood we were in a very wet place. Inside Quinault Lake Lodge built in 1926. Biggest Sitka Spruce in the world: This tree is over 1000 years old. It was a wet, muddy walk to see it. ...you stand at its base. Wild by Cheryl Strayed. Don and I finished listening to this audiobook on our trip to the ocean on Friday. We discussed many aspects of Cheryl's trip along the Pacific Coast Trail during our breakfast the next day. Mansfield Park by Jane Austen. I've read another 50 pages toward my read-along challenge. Where'd You Go Bernadette by Maria Semple. I've decided to finish it but it's not a favorite choice. Your Food is Fooling You by David Kessler, MD. Spring Break Reading Goal: I want to finish the last two books on the above list and to start The Shadow of the Wind while making progress on my next audiobook, A Red Herring Without Mustard by Alan Bradley. I also hope to spend one whole day doing nothing but reading! 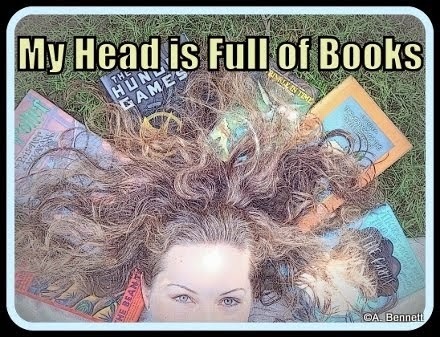 Call me a reading addict! The Mansfield Park Read-along is an opportunity to read a favorite book at a pace that is doable each week. Join me. Read 50+ pages. Goal accomplished this week. I have read up to Chapter XXV. Action in this section: Sir Thomas Bertrand returned from Antigua before the group could put on their play, Lovers' Vows. He was not interested in allowing them to continue with their endeavor and within a few days of his arrival home the while stage was dismantled and the cast dispersed. Mr. Yates left to seek his dramatic talents elsewhere and Henry Crawford left for Bath. Maria Bertrand was quite distraught about his departure and within a few days of his leaving was more determined than ever to marry Mr. Rushworth to spite him. Once the wedding took place she and her sister Julia moved to Sotherton, the Rushworth estate ten miles from Mansfield Park. Later Julia joined her sister as she honeymooned in Brighton. Now Fanny was the only young female at home and Lady Bertram depended on her more than ever. Mary Crawford also befriended Fanny and invited her over to the parsonage often, much to Mrs. Norris' consternation. One night when Fanny and Edmond were invited to dine with the Grants and Mary Crawford they found that Henry had returned from Bath. At that time Henry made up his mind to make Fanny Price fall in love with him and to cause just a small whole in her heart. In the last chapter in this section we are introduced to William Price, Fanny's dear brother home on leave from the Navy. Surprises: this sections explains many of my questions I have had from viewing the film adaptations of the book. I often wondered why Sir Thomas Bertram was so uncaring toward his children when he returned from West Indies; Why Maria married Mr. Rushworth so soon after her father's return; and what was Henry Crawford's motivation for flirting with Fanny. Mr. Bertram isn't the monster that the films make him out to be; Maria Bertrand was in a rush to marry Mr. Rushworth because she had her feelings hurt by Henry when he quitted the parish so abruptly; and Henry clearly liked the idea of having everyone in love with him and enjoyed the chase and the challenge. He just didn't understand the determination inside Fanny to resist him. No wonder everyone thought he was a very dull fellow. Write reviews for all the YA books I have read so far this year and stay current from this point forward. 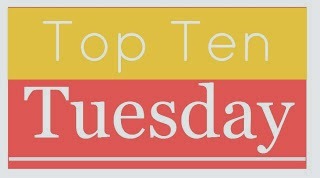 Also catch up on adult book reviews I'd like to include in my blog. I've only written 10 reviews this year but read 26 books so far. Gulp. Complete my own reading challenge to Read all the 2014 ALA YA Award Winners. 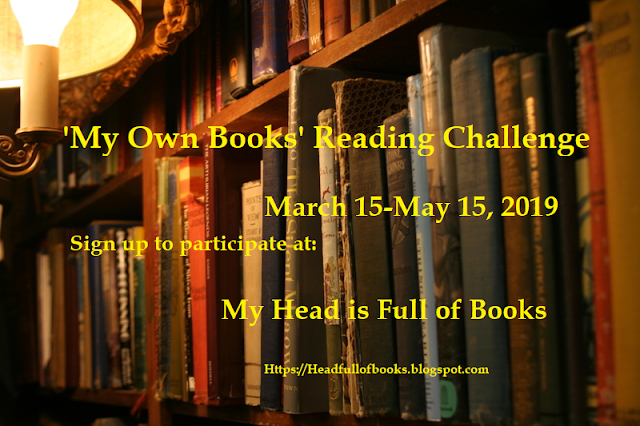 Of the ten books/categories in this challenge, I still need to read five books. As part of the Chris Crutcher Challenge I would like to read at least three more of his books this year. Read the Prinz Honor books: Kingdom of Little Wounds by Susan Cokal and Navigating Early by Clare Vanderpool. That will keep me current on my challenge to read all the Printz books every year. Get myself current on the 2014 YA Audiobook challenge. I signed up to read/listen to twelve YA audiobooks and I've not checked back in with the host of this challenge with an update yet. Whittle away at my other reading challenges for the year: to read six books I should have read in school but didn't; read ten books from my own shelves at home; and to read or deal with the books on my bedside table. Work with my principal to get new desktop computers in my library. This is long overdue. Spend time with the EBSCO Trial Database over Spring Break. Spend one full day reading over Spring Break. Go see the Divergent movie. 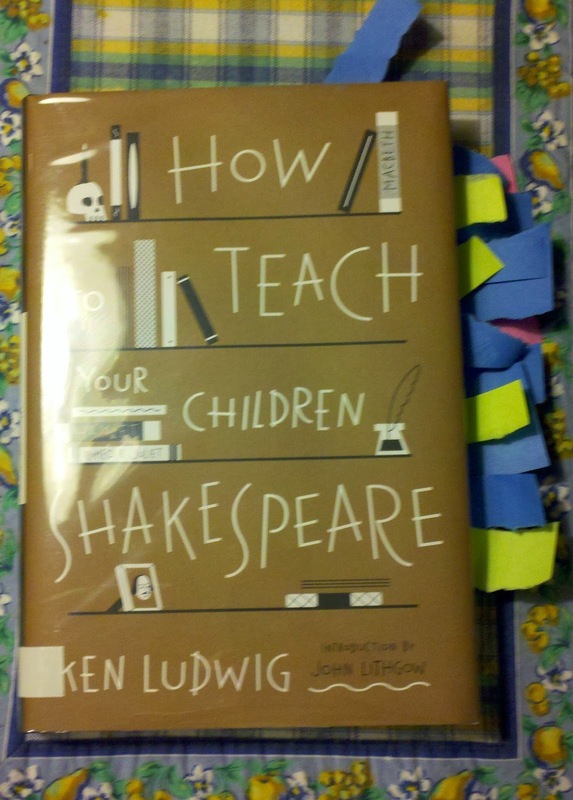 Months ago, on a quick trip to the public library, I picked up and checked out How to Teach Your Children Shakespeare by Ken Ludwig. I didn't go into the library to get this book. I was picking up a book on hold for my book club. At the moment before seeing this book I was thinking how reading was becoming a drudgery because I always have to read books for a purpose (ie., book club) and never because I just want to read them without any other purpose. I selected this one off the Lucky Day kiosk thinking it would be fun to thumb through it for an hour or so. Little did I know that this book would become my new obsession. I renewed it three times because I was reading it so slowly and carefully. I was savoring every word. It took time to let everything sink in. Then the library wouldn't allow any more renewals, so I bought a copy for my own library, which I promptly checked out to myself. Ken Ludwig is both an acclaimed playwright and an actor. He used several simple tools outlined here with his own children. Before you stop reading because you have no children or your children are grown and out of the house, so are mine! I wish that I'd had this book when they were young but I got a ton out of the book anyway. Now I am pushing it on all my friends with young children so they can benefit from it. And I think this book would be a wonderful resource for any English teacher at the secondary level. As I read the book I couldn't help myself. I had to tag favorite phrases, tidbits about Shakespeare and pieces of advise from Ludwig. Look at the hilarious number of tags I placed in the book before I was done. Ha! Post-it note tags on just about every page. How will I remember all that I want to save? First, Shakespeare's plays, like all great works of art, are open to interpretation. That is the hallmark of art that has real value. If a work is static and never changes, then it can never tell us much about how we change over our lifetimes, and how mankind changes over time. As Hamlet says, it is the artist's job to hold the mirror up to nature. To his full height. On, on, you noblest English! ... Be copy now to men of grosser blood. And teach them how to war. Stiffen your muscles and disguise your peaceful natures with looks of rage so you can frighten the enemy. Bare your teeth and stretch your nostrils, hold your breaths and raise your spirits to their full height. On you noble Englishmen! Show lesser men how to fight. "Why Hal, 'tis my vocation, Hal. 'Tis no sin for a man to labor in his vocation." "Sell when you can; you are not for all markets." He goes on to say that he wants Shakespeare to be an inspiration to our children so they know that can do anything if they work hard. He wants them to eventually recognize his genius and to find consolation in him in their old age. Be sure to visit the How to Teach Your Child Shakespeare website. Weather: beautiful with clear skies and a warmish temperature. Yesterday Don and I got out and pruned the roses. It was a month later than we usually try to do it but the weather has just hasn't cooperated until this week. Musical selection of the day: Vivaldi's Spring. It is a very familiar song but appropriate for today. Cue the music and listen while you read the rest of the blog post. My sister and her husband were in town this weekend. They live in Boise so we don't don't see them as often as we would like. When our kids were young they lived in Tacoma. All important family functions were spent together. I miss that so much. We really enjoyed our time together. Their youngest son just announced his engagement and plans a late summer wedding. Whew, the kids are growing up so fast. FitBit: I had my fist 10,000 step day this past week. When it happened the Fitbit practically exploded with its weird form of congratulations. I actually didn't know what was happening until I pieced together the pieces later in the day. Health tip of the week: Apple Cider Vinegar has surprising health benefits from lowering cholesterol, aiding in digestion, even curing hiccups. Drink 1-2 tablespoons mixed into at least 12 oz of water before a meal for dietary help. Admittedly it is an acquired taste but it is doable, not ghastly. I recommend that you buy organic apple cider. It will be a bit cloudy. Read about all the ways that is helps the body here on the Reader's Digest site. 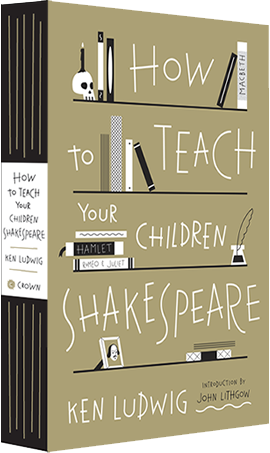 How to Teach Your Children Shakespeare by Ken Ludwig...I LOVE this book and intended to write a review this week-end but left the book at school. Look for my review tomorrow! Needless to say, I recommend it. Wild: From Lost to Found on the Pacific Crest Trail by Cheryl Strayed. Don and I are sharing the audiobook edition, both listening as we drive to work and back. Your Food is Fooling You: How Your Brain is Hijacked by Fat, Sugar, and Salt by David Kessler. I had hoped to finish this book this week-end but also left it at work when I ran out of school on Friday afternoon. Mansfield Park by Jane Austen. I'm reading 50 pages a week in a read-along. Where'd You go Bernadette by Maria Semple. To finish or not to finish, that is the question. This book is not my cup of tea. Refreshment Sunday: This Sunday represents the middle Sunday of Lent and is thought to be the refreshment Sunday. Not sure what that is all about but I've decided to take it literally and the family will make a trip to the Root Beer Store in a few minutes. Yes, you read that right. We have a Root Beer store in our town. It makes me smile to even say it. Ha! Prayers for: Dom, my cousin's daughter's husband, who is shipping out to another tour of duty in Afghanistan this week. We prayed over Dom today in church so I know that he will be safe. Soup of the week: Corned beef, cabbage, potato soup. Heck, we love our corned beef meal on St. Patrick's Day, why not take the ingredients and make soup? We had it three times and still have leftovers. Mansfield Park read-a-long is a chance to read a classic book by a favorite author in bite-sized pieces making it doable for the average reader like me. It is not too late to join in. Grab a book or download it for free on your Kindle and let's go. Here is the intro to the read-along. 1. Page goal met? Almost. I read 51 pages, breaking at the end of chapter XVIII. 2. The action in this section mainly center around the return of Tom Bertrand and his friend Mr. Yates who are determined to act out a play, Lovers Vows. Edmond is determined to thwart the attempts his older brother makes to put on the play saying their father most certainly wouldn't approve. Yet he eventually decides that he will join the cast. Great jealousy is developing between sisters Maria and Julia because of the obvious preference that Mr. Crawford shows toward the elder sister. No one except Fanny will rehearse with Maria's fiance, Mr. Rushworth, even though he has two and forty speeches. Mrs. Norris and Tom both are tremendously unkind toward Fanny because she refuses to join the cast of actors. Even though Fanny won't join in she is indispensable for all the preparations, making costumes, rehearsing lines, running errands. 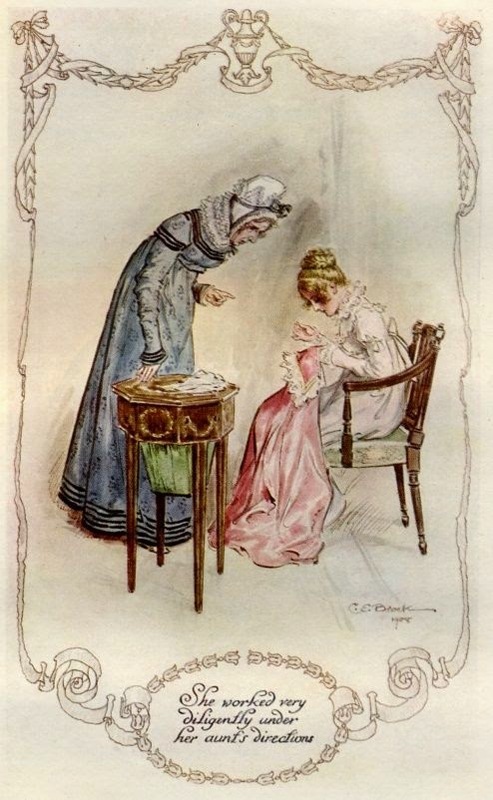 It is in this section that we learn about how unkind Mrs. Norris has been to Fanny ever since she entered the house over eight years before, not allowing her a bedroom among the family members or even allowing for a fire in her grate. 3. Surprises in this section? No real surprises but I was struck by two things.The first being how "small" the lives of folks living in the Regency period when Austen was alive. They worried about the appropriateness of putting on a play just for themselves and they could only include people who were also from the gentry class. The second thing that struck me was how tedious this section was to read. I kept thinking, "No wonder this is Austen's least favored book." 4. Which brings to mind this question, was life during Austen's life really like this? Days and days of preparations for an event that would serve as entertainment only for themselves? I try to think what life would be like with no TV, radios, movies, phones, computers. We would be forced to make our own entertainment, wouldn't we? Book Beginnings on Friday is now hosted by Rose City Reader. The Friday 56 is hosted at Freda's Voice. Check out the links above for the rules and for the posts of the participants each week. Participants don't dig for a favorite book, the coolest, or the most intellectual. Just use the one currently being read. Nine words. Each word one syllable. Nine syllables. That's all it is. It isn't hard to learn this line of poetry. It's from the play A Midsummer Night's Dream by William Shakespeare, and I'll bet your son or daughter can memorize it in less than a minute. The poet Samuel Taylor Coleridge said that "prose equals words in best order; poetry equals the best words in the best order." Williams Wordsworth called poetry "the spontaneous overflow of powerful feelings." And Emily Dickinson said, "If I read a book and it makes my whole body so cold no fire can ever warm me, I know it is poetry." My thoughts: I have been feasting on the contents of this book for months now and just finished it yesterday. I don't really think the two quotes you got here are good representations of how wonderful this book really is but you get the idea that a. It is about teaching your children to love Shakespeare by helping them memorize some of the best lines from his plays and b. 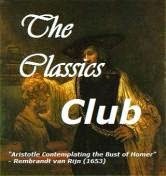 It isn't just about memorization but also about good literature in general. Your thoughts? Leave them in the comment section. I'm still treasuring the few moments here and there reading the slim Dover Thrift version of Books and Reading: A Book of Quotations, edited by Bill Bradfield. This will be my last installment of favorite quotes I found within. Wild by Cheryl Strayed. This is cheating since I am currently reading this book. I want to give myself a boost when I actually finish at least one book on the list. :) This is the All-Pierce-County-Reads book of the year. Cress by Marissa Meyer. This is the third book in the Cinder series. I'm pretty hopeful that this book will get to me soon, as I have a hold on it at the public library. Gods and Monsters by Laini Taylor. Set to come out in a few weeks this should be the thrilling conclusion to the Daughter of Smoke and Bones trilogy. The Kingdom of Little Wounds by Susann Cokal. This was a Printz Honor book this year. I try to read all the winners every year. Charm and Strange by Stephanie Kuehn. Another award winner, this book won the Morris Award this year for debut authors. It has been sitting on my bedside table for a month. Mr. Darcy Presents His Bride by Helen Halstead. This is just a silly book I picked up at the friends-of-the-library sale. I confess this one is calling my name right now as I do my Mansfield Park Read-along. The Shadow of the Wind by Carlos Ruiz Zafon. This book has been on my TBR pile for so long. I finally downloaded the audiobook onto my iPod. Now to take the time to listen to it. One Summer: America, 1927 by Bill Bryson. This was the book my husband gave me for Christmas. He and I are both Bryson fans and this book sounds like it will be a winner. A Red Herring Without Mustard: A Flavia de Luce Mystery by Alan Bradley. I enjoyed the first two books in the series and then stopped. Now there are five books and I haven't read #3 yet. Weather: Raining. A small pond has formed in our backyard. We wouldn't be surprised if a family of ducks decided this "pond" was a good home for them. Cue the Music: My musical selection of the week is once again The Piano Guys. Love them! They combine classical with modern songs. This one is Pavane with Titanium. Cue the music and have a listen while you read on. Friday and Saturday: I attended two different workshops. Both were in a nearby town, University Place. I used the GPS to help guide me. The GPS gave me very different directions each day even though I had to drive past the first locale to get to the second. Ha. One of the classes I took was about Financial Planning for Retirement. I am starting to think about the R word. Today: we head up to Seattle to hear our daughter's a cappella group, Drop the Bass. FitBit and COSTCO: Goal 10,000 steps a day. I stop by COSTCO and think to myself that I should get quite a few steps while I shop since the warehouse is so big. When I got home and upload the data from my bracelet it was as if I wasn't at COSTCO at all. It was a mystery. Why hadn't it tallied my steps? I asked a friend who also has a FitBit if she had any ideas. She asked if I was pushing a shopping cart because one has to swing arms for steps to count. Mystery solved. If you see a goofy lady walking around COSTCO pushing a cart with one arm and swinging her other arm, it is me. Even though I made this revelation I still didn't make my daily goal of 8000 steps. I had two down days with the workshops where it was difficult to work in many steps. Health tip of the week: 1. It is next to impossible to buy salad dressing that doesn't contain vegetable oils even if it says contains olive oil on the front, check the ingredients. It is time to find a recipe to make my own dressing or go back to using just vinegar and olive oil. If you have a good Italian dressing recipe, please send it my way. 2. Exercising is more fun if listening to an audiobook. Wonder by R.J. Palacio. This book is WONDERFUL. Even though it is a Junior book I recommend it for everyone. The Light in the Ruins by Chris Bohjalian. A depressing mystery set in Italy during WWII and eleven years later. It took be a long time to figure our who "done it" which made it a good mystery for me. Wild by Cheryl Strayed. My audiobook selection in the car. On disc 3 of 11. 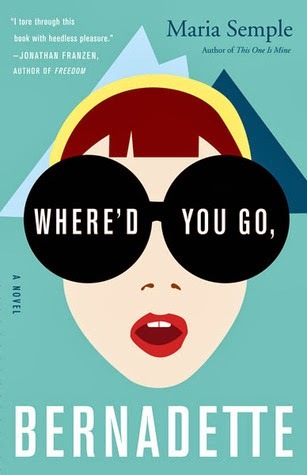 Where'd You Go, Bernadette by Marie Semple. My audiobook selection for exercising in the house and while walking the dog. On disc 4 of 9. 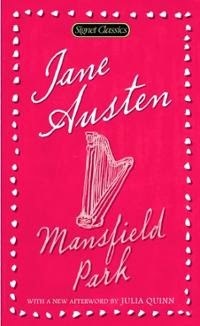 Mansfield Park by Jane Austen. A read-along challenge. Here is this week's update. On page 100 of 400. Your Food is Fooling You by Kessler. A YA version of the same book by Kessler. It is about the addictive qualities of fats, sugars, and salts. On page 25 of 192. How to Teach Your Children Shakespeare by Ludwig. OK, I admit, this book is on the back burner right now. On page 150 of 368. Prayers for: My friend Sharon. She is back in the hospital with a new infection similar to what caused meningitis last Fall. May she get the meds that will cure her and help her to feel healthy again! 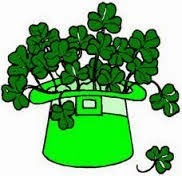 Quote of the week: "May your thoughts be as glad as the shamrocks. May your heart be as light as a song. May each day bring you bright, happy hours that stay with you all the year long." Mansfield Park read-a-long is a chance to read a classic book by a favorite author in bite-sized pieces making it doable for the average reader like me. It is not too late to join in. Grab a book or download it for free on your Kindle and let's go. Here is the intro to the read-a-long. 1. My goal is to read 52 pages each week (your page count will be different according to the edition of the book you are using.) Was the goal met? Yes, up to the beginning of chapter XII. 2. What has happened so far? Mary Crawford is worming her way into Edmund's heart. Austen goes so far as to say that he is falling in love. Fanny feels slighted and ignored. She seems to like Mary but also appears to be jealous. Mary's harp has finally been delivered and everyone enjoys hearing her play. Maria Bertrand is engaged to Mr. Rushmore but she actually has her eye on Henry Crawford, as does her sister, Julia. There appears to be a competition between the two sisters for his attentions. They made a day trip to visit Mr. Rushton's estate which seemed to delight Mrs. Norris more than anyone else. 3. Surprises? Fanny does not whine or complain but she seems to be a bit of a wimp. She tires out during a walk and has to sit while others walk on. She gets faint after four days of not being able to ride her horse. The movie pays just as much attention to Henry as to his sister, Mary. This section of the book is mainly about Mary and how she is ingratiating herself to Edmond. 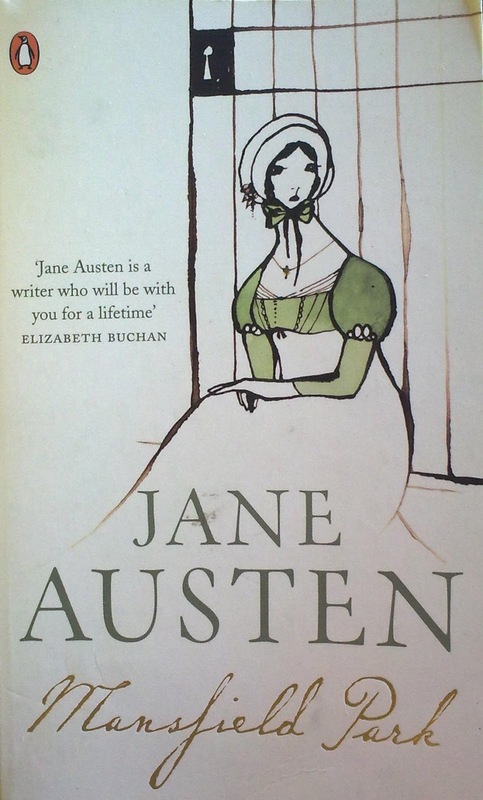 4.A question- Does anyone else have trouble with Austen's writing style here? I found several occasions where I couldn't figure out who was speaking. The first annoying thing is when I ask Dad what he thinks happened to Mom, he always says, 'What's most important is for you to understand it's not your fault.' You'll notice that wasn't even the question. ...I was unpacking my photos, mugs, and snow baby collection when I looked up and saw Elgin Branch across the atrium. He wasn't wearing any shoes, just socks, which I found odd. This story is nothing like what I thought it would be. Today, while I waited for my chiropractic appointment, I read this little gift book found in the lobby, What Makes You Smile? It is the sweetest little book. It took me a few minutes to read but it got me thinking. 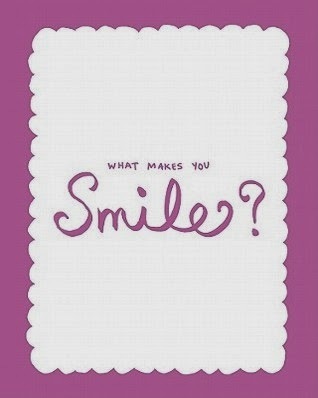 What makes me smile? Here are just a few things. 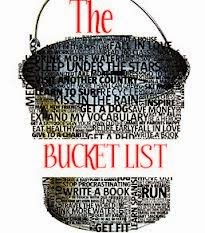 After you read my list, please add a few things that make you smile in the comment section. 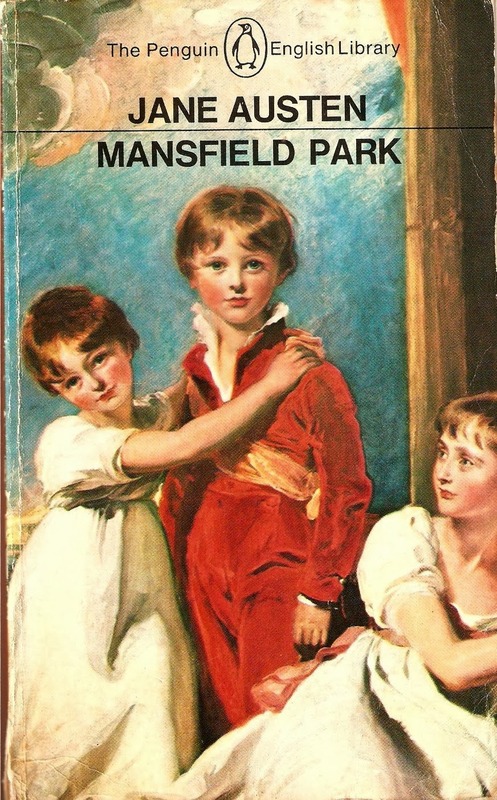 A slightly silly cover for Mansfield Park since Fanny and her cousins are only young for a few pages of the book. 1. My goal was to read 52 pages each week (your page count will be different according to the edition of the book you are using.) Did I make this goal? No. I am on page 41 which is in the middle of chapter 5. 2. What has happened so far? We meet the Bertram family and learn why they invite their niece, Fanny Price, to live with them. She is neglected and friendless until cousin Edmond comes to her rescue. As the years pass she still views herself as inferior to the rest of the family. Fanny is now 18 and we have just met Mary and Henry Crawford, who are quite full of themselves. 3. Surprises? There were lots of differences between the book and the movies made from it. For one thing there is more laid about about the sisters---Mrs. Bertram, Mrs. Norris, and Mrs. Price. They had a falling out over Mrs. Price marrying below herself so they didn't communicate for many years. Not until she was pregnant for the ninth time did she write her sisters and ask for help. She wanted to send her eldest son off to the Navy, instead the older sisters asked her to send them Fanny. One other thing that surprises me is how much of the story has already happened and I am only 1/10 of the way through the book. It seems like the movie is already over 1/4th over at this point. Based on this I think I will encounter many parts of the book that I will not be familiar with at all in future weeks. 4.A question I've wondered as I read this section. Did Jane Austen really like Fanny Price? She seems so docile compared to her other heroines. The author of the Introduction, Amanda Clayburgh, suggested that Austen probably actually liked Mary Crawford better because she had more of Austen's personality. See you next week. I will try to catch up on this week's unread pages so that I will be back on track. Crocuses, our first signs of spring. Weather...we call it sunbreaks. In other words, raining with a few minutes of sunshine here and there. Yesterday it absolutely poured. It was the type of weather that gives the Pacific Northwest a bad name, deservedly so. We've had over 5 inches of rain in the first eight days of March. Yesterday...we attended the Lenten Prayer concert at Seattle University. Our daughter is a senior this year. Every concert this year brings us closer to the last one. I remember feeling this way her senior year in high school attending all her last concerts. It is a very bittersweet feeling. We want our daughter to launch but yet we have a hard time letting go of these precious times. Can anyone relate? Spring: It has rained so much lately it hard to pay attention to other signs of Spring. I was shocked the other day to see crocuses (see above) while walking the dog. 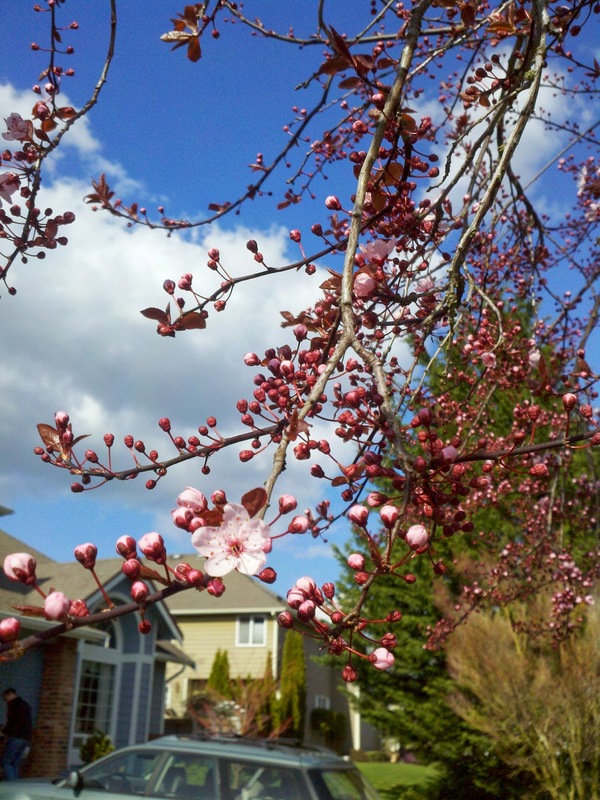 Then today I noticed that the street trees (flowering plums) are ready to burst forth with flowers any day. Ash Wednesday service this past Wednesday was the beginning of Lent or the six weeks leading up to Easter. This year I am attempting to be more mindful of God in my life everyday. Our church hosts a very short church service following a simple soup supper. The service concludes with our pastor placing a small cross on our foreheads from the ashes of the palms from last year's Palm Sunday. This is a time of fasting and prayers. 52,400 Steps...as I said last week, I purchased a FitBit high tech pedometer last week. Every single day I attempted to reach the goal of 10,000 steps. I didn't make it one single day. For the week I made 52,400 steps which makes my average daily steps at around 7300. I am obviously more sedentary then I want to admit because those 7300 steps reflect me really trying to add exercise and steps to my life. My goal for this week is to average 8000 steps/day. Health tip of the week: get more sleep! Everywhere I turn I am getting messages similar to this one that I found on WebMD. Now I have another new goal: to turn off the TV by 9:00 so that I am in bed by 9:30. This will be tough for me as I am truly a night owl. It was in the Stanford study, however, that the more provocative meaning of the [relationship to sleep and these hormones] leptin-ghrelin effect came to light. In this research -- a joint project between Stanford and the University of Wisconsin -- about 1,000 volunteers reported the number of hours they slept each night. Doctors then measured their levels of ghrelin and leptin, as well as charted their weight. Books read this week: None. I am in the middle of three books and didn't make much progress on any of them. I was too busy trying to figure out how to walk 10,000 steps to do anything else. Ha! Mansfield Park by Jane Austen...look for my first 50 page check-in on my read-a-long later today. Book Beginnings on Friday is now hosted by Rose City Reader. The Friday 56 is hosted at Freda's Voice. Check out the links above for the rules and for the posts of the participants each week. Participants don't dig for their favorite book, the coolest, or the most intellectual. They use the one they are currently reading. I know I'm not an ordinary ten-year-old kid. I mean, sure, I do ordinary things. I eat ice cream. I ride my bike. I play ball. I have an XBox. Stuff like that makes me ordinary, I guess. And I feel ordinary. Inside. But I know that ordinary kids don't make other ordinary kids run away screaming in playgrounds. We sat together at lunch," I said. I had started kicking a rock between my feet like it was a soccer ball, chasing it back and forth across the sidewalk. "She seems very nice. ""Yeah, she is." "She's very pretty," Mom said. "Yeah, I know," I answered. "We're kind of like Beauty and the Beast." I didn't wait to see Mom's reaction. I just started running down the sidewalk after the rock, which I had kicked as hard as I could in front of me. 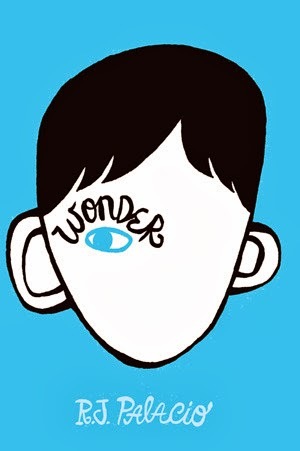 Wonder is an award winning junior-level book about a boy who has facial deformities and his first year attending school. Further down the first page Augie says about his looks: "I won't describe what I look like. Whatever you're thinking, it's probably worse."